If you’re after a job that’s not the usual office-based 9-5 and gives you a level of independence you just wouldn’t get in many workplaces, perhaps driving could be the career for you. With 85% of the goods transported within the UK being carried by road, there’s no doubt this is a business-critical industry. And one for which demand is growing rather than shrinking. More goods are being moved around now than ever. And it’s well documented that there is a shortage of good, reliable drivers. In fact, the Chief Executive of the Road Haulage Association (RHA), Richard Burnett reported that at the beginning of 2018 the UK haulage industry was facing a shortage of 45-50,000 HGV drivers. While this may not be good news for the economy in general, if you’re considering a job in this area it could be great news for you in terms of the number of vacancies that are around. Whether you drive an articulated lorry, a concrete mixer or a white van you’ll have plenty of choices about the kinds of trips you’d like to do. Quick to and fro journeys delivering small bits and bobs, or multi-day excursions carrying heavy freight across Europe. If the open road’s your thing – make the most of it. Not only that, with high demand for drivers, if you want to up sticks and move your family elsewhere your driving experience should stand you in good stead to pick up work relatively easily whether you end up elsewhere in the UK, or in many other parts of the world. Because drivers are in such short supply, we’ve seen wages increasing recently. And while van driving salaries are relatively modest a full time, fully qualified, experienced HGV driver could earn upwards of £30,000 plus other potential employment benefits. When you’re in your cab you are your own boss. You won’t have a supervisor standing behind you watching everything you do, or workmates complaining about your choice of radio station in the office. If you’re someone who enjoys their freedom (and likes their own company) you could find definite benefits in this kind of work. One of the great things about a driving career is that it takes you away from your normal, allowing you to see different places and meet different people. That could mean you get to explore other countries, but it might just as well mean experiencing the best the UK has to offer. And as you’ll usually get to choose your delivery route you can make sure you always keep it interesting. You won’t need a long list of qualifications to become a driver. All it takes is a driving licence and you’re ready to go. If you want to drive HGVs as well as some other quarrying or construction vehicles, you’ll need a specific licence, but this can be achieved relatively easily via advanced driver training followed by another test. If you’ve always loved vans, lorries and the like, what better way to spend your days than driving a big shiny one around? In most cases you’ll be responsible for maintaining it and keeping it clean and tidy too. Many drivers say they feel a real sense of pride when it comes to their vehicle and look after it as if it were their own. If you think a career as a driver could be right for you, why not get in touch and see what vacancies we are recruiting for in your area. 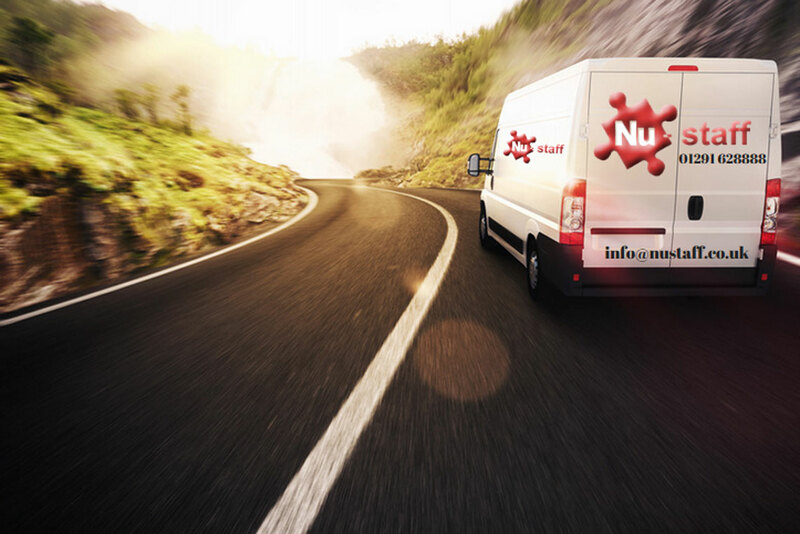 Contact us by email info@nustaff.co.uk or call 01291 628888 (Chepstow office) or 02920 263365 (Cardiff Office) for more info.